I’m not the type to look back at the year and think about the things that have happened. I don’t reflect on the good or the bad, or wonder what’s going to happen in the new year. I don’t make New Year Resolutions either. When New Year’s Eve rolls around, I only think about two things: Whether I’m staying awake until midnight, and that I need to remember to write the next year’s number on about 20 of my checks, so I don’t mess up the date. Oh, and what I’m cooking for dinner. Make it three things. 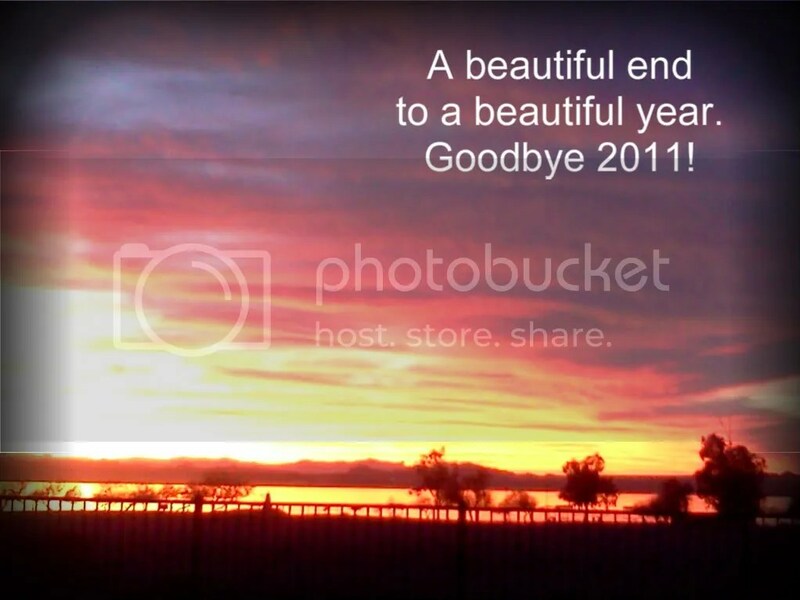 Today I saw quite a few other bloggers put up posts with their reflections on 2011, and hopes for 2012. I started wondering if maybe I should do the same. So I started thinking about 2011. There was a divorce, but I did not want to talk about that. So… no blog then. BUT, there was a remarriage, and that’s something I DO want to talk about. Maybe a blog then?? Hmmm… I moved into a different house. The kids have done superbly in school. I started blogging, and as a result I’ve met some interesting, and wonderfully supportive bloggers. All great things to reflect on, but I told myself I don’t DO these kinds of reflections on New Years Eve, plus I’m busy today… so nevermind. No blogging. No reflecting. This is just a normal day to end an interesting year. Then I opened my email. Waiting for me in my inbox was one of the best gifts I have received this year. A reminder that I am loved. I am an important part of a family. And I have MUCH to be grateful for. This email caused me to really start thinking about this year and how amazing it has truly been. I married the most wonderful, kind, loving, generous, smart, funny, and strong (but gentle!) man. This man has an amazing family. A family who has accepted me as part of them. And I didn’t really understand that until today. Mister has often told me that his family is my family. But, marrying into a family doesn’t necessarily make them your ‘family’. You’re just part of someone else’s family and they have to call you family because, technically, now you are. Over and over, when I have said “your family” to Mister, he firmly corrects me by saying “OUR family”. During this past summer, I had the chance to get to know all of them better. I fell in love with how unique the members of his family are. How nonjudgmental, kind, and REAL most of them are. I knew I was accepted by them simply as “me”, without having to put on a show or try to be something I’m not. By the end of the summer I had started to feel like I was part of a family again. And it was such a warm and comforting feeling. Today, after a beautiful email, I knew not only in my head, but in my heart that I really AM part of a family. Family doesn’t have to be blood, and it doesn’t even have to be your in-laws. It doesn’t have to be “technically” family. Family simply are those people in your life that love you, exactly as you are for exactly who you are. They are the people who want to be in your life, just as much as you want to be in theirs. And I’m doubly blessed in that these people also happen to be “in-laws” and “step-son”. This year has brought me so many blessings: A husband, a new family, a new home, a new church, a new life. 2011 wasn’t just a ‘normal’ year. It was a new beginning. And I would have been remiss to not sit back and become overwhelmed by the many gifts God has given me throughout this year. I wish many joys, blessings, and much love for all of us in 2012! I told you that to know you would be to love you…. Like they say, your never too old to learn! You learned a lot this past year, and it seems to have all been to your benefit! Happy New Year to you all, and Hope the next one will be just as filled with everything you need and want!